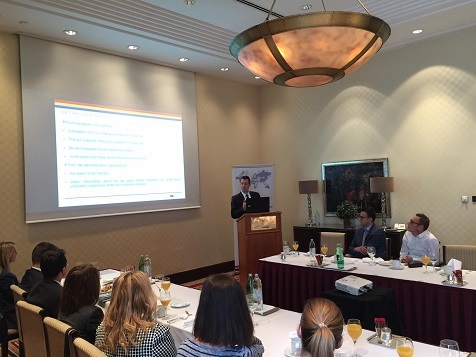 Nordic Chamber of Commerce in cooperation with Franco-Croatia Chamber of Commerce and Industry organized on Wednesday 2 November 2016, at Esplanade Zagreb Luxury Hotel, a business breakfast with Mazars Cinotti Croatia, member of both Chambers. During the lecture, representatives of Nordic-French-Croatian business community were informed about currently major tax matters with the focus on tax audit by Tax Authorities. How to prepare for the Tax Audit by Tax Authorities (key fields of tax scrutiny and procedures in order to eliminate tax risks)? How to act during the Tax Audit and possible procedures for resolving disputes (solving problems during tax scrutiny and subsequent possible legal remedies)? What are the other currently major tax matters in Croatia? The lecture raised huge interest among Nordic Chamber of Commerce and Franco-Croatian Chamber of Commerce and Industry members and business partners, and was followed by Q&A related to the subject. The event was also an excellent opportunity to establish new business contacts among representatives of Nordic-French-Croatian business community and members of the Chambers.